In a sense we can say that money market is that market which provides loans for the short term. It mainly centers round the activities of the discount houses, commercial banks and the central bank of the country. In Pakistan there are many financial institution, like state bank, commercial banks, cooperative banks and saving banks which provide the short term loans. So money market in Pakistan mainly consists upon these institutions. Capital market refers to a market where financial institutions mobilize the savings of the people and advance for long term to increase the new capital in the country. 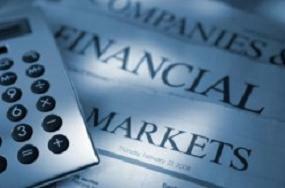 The financial institutions invest the funds in those sectors where the rate of profit is high and secured. The money market and capital market both are controlled by the central bank of the country. No doubt with the passage of time are financial institution are developing. Our banking and non-banking institutions are mobilizing the savings of the people in urban and rural areas. These are also providing loans to trade inside and outside the country. Credit requirements of trade and industry are adequately met by these institutions. The state bank is also controlling these institutions very well. Inspite of all these achievements and efforts, there are many problems of capital and money market. Now we discuss them in brief. There is a lack of coordination between the various financial institutions. They adopt different policies and due to this lending and borrowing becomes difficult. There is overlapping and delays in creating the needs of industrial and trade sector. The economic policies are framed by the bureaucrats instead of technocrats, so they create many problems. Many financial institutions are controlled by the bureaucrats and they have no technical skill, so they lacks decision making. The professional and skilled persons in the financial institutions are leaving the country and getting employment in Middle East for higher wages. The large scale migration of skilled persons has created gap of talented persons in the financial institutions. In the financial institutions unions are playing very effective role. So due to unionism there is in efficiency and indiscipline in the financial institutions. There is a wasteful expenditure almost in all the financial institutions and due to this rate of out put is low. A lot of money is wasted on advertisement and decoration. The branches of the financial institutions are not opened in the rural areas to collect the savings of the villages. So some new types of savings instruments should be introduced to attract the farmers. In advancing loans financial institutions compete with each other to show better performance. Some times they lend the money to those people who can not repay. So before advancing loans they must be careful in checking the character and financed condition of the borrower. Before advancing they must be satisfied about the projects for which they are lending. Political leaders in Pakistan are also misusing the credit. Sometimes the financial institutions advance the loans on political grounds. So this practice is not suitable for the money market. In Pakistan number of political leaders have been exempted from that loan which was advanced to them by the commercial banks, so these steps are not favourable for the nation and for the financial institutions. The complaints about of default in loan re-payments both by the public and private sector is increasing day by day. The Govt. should take effective steps for the recovery of loan. Poor quality of manpower is employed in the financial institutions which causes low production. There should be an arrangement of training and higher studies. The talented people should be awarded. All the financial institutions bribery and Mal-practices are common. Govt. should make strict rules to eradicate corruption. In Pakistan literacy rate is very low and people are not bank minded, due to this rate of lending and borrowing is very low in the country. People know nothing about the financial institution. Financial institutions should publish the publications about their performance, they may also use the press and media, for this purpose. Due the above reasons money market and capital market is not well organized in Pakistan. It was established in 1961. Its authorized capital is Rs. 4000 million and paid up capital is Rs. 3214 million on 30th June 2000. Its head office is in Islamabad. 1. To supply the credit facility to the agriculture sector in the country. 2. To modernize the agriculture and cottage industry. 3. To provide the financial and technological service at the door step of the farmer. 4. To improve the condition of small farmer. There are 346 branches and 49 regional offices in the country. The ADBP has introduced various types of schemes to attract the farmers. In 1979 it introduced supervised credit scheme. The credit needs of the farmers were assessed and the loan was provided to them in the village in the shape of technology and inputs. It is providing long term loan to the framers for the purchase of tractors, tube-well, machinery and construction of warehouses. These loans are provided for the purchase of agricultural machinery, leveling of land and setting up of agro based industries. These loans are provided for the processing, marketing and other agro based industries. It was set up by the ADBP in 1987. Its main objective to improve the economic condition of the small farmer and tenant. Under this scheme maximum loan limit is Rs. 50,000. The ADBP started this programme in 1992. This scheme was also introduced for the small farmers. The bank distributed Rs. 69 million up to June 2000. The ADBP provides the facility of loan up to Rs. 50,000 to a farmer for the purchase of imputs, through this scheme. This loan is provided to the small farmers holding up to 25 acre land. Its objective is that poor farmer who can not use the latest inputs, he must be encouraged. To improve the condition of rural women ADBP has started this programme in its 30 branches. This loan is provided for farming and non farming activities. This loan is advanced for Poultry, fishing and forestry also. To promote farm mechanization ADBP has proffered to provide loan for the purchase of tractors. It provided credit of Rs. 5744 million during the year of 1999-2000. The ADBP obtained the foreign aid from various international agencies and has utilized for the agricultural development. The ADBP has played very effective role to boost up the agriculture sector but its recovery condition is not satisfactory. Our farmer borrows from the bank and does not use it properly, so loan becomes a problem for him. The IDBP was set up in 1961. Its paid up capital before 1974 was Rs. 50 million. Its 51% was held by the Federal government and 49% by the Provincial governments commercial banks and private sector. After nationalization the private sector share was transferred to Federal government. It is an important source which supplies the funds for industrial development. 1. Its paid up capital is Rs. 157 million. It is the main source of its funds. 2. It provides medium term and long term credit facilities. 3. It provides loans for the establishment of new industrial units. 4. It also provides loan for the replacement needs of the old units. 5. It acts as a merchants banking. 6. It undertakes the commercial banking. 7. It provides consultancy facility to its clients. 8. It provides loan in the form of equity. 9. It encourages the establishment of industries in the less developed areas of the country. 10. It pays due regard to the export oriented industries which are based on domestic raw materials. 11. It is working as an credit agency of the world bank Asian development bank for small scale industry. Its main objectives is to spread the benefits of industrialization in all the classes of the people. But the financial condition of the bank is not satisfactory. People borrowed the money from the IDBP adversely. The general investment climate is not favourable in the country. The government has tried its best to recover the loans but still a big amount is recoverable. The present government is paying proper attention to improve its efficiency and now it has focused on commercial banking. NIT was merged in National bank in 2001, because it was suffering a loss. In 1949, India refused to purchase our jute government of Pakistan decided to solve the problems of East Pakistan farmers. In November 1949, the NBP was established to purchase the jute. The NBP performed this job very efficiently up to June 1950. Later on it started the commercial banking. Now this authorized capital in Rs. 2.5 billion. While its issued and paid up capital is Rs. 1.46 billion. The Govt. has also offered 49% on NBP shares in the stock exchange for sale. The NBP is the most popular bank in the country. Its total deposits were more than Rs. 310 billion at the end of the year 2000. The national bank made advances Rs. 145 billion in the form of long run and short run period up to December 2000. It has written off bad debts of Rs. 2.6 billion in the year 2000. Its profit is also increasing every year during the year 2000 it had earned more than one billion rupees. It is the most profitable institution. Its branches inside and outside the country are more than 1420. 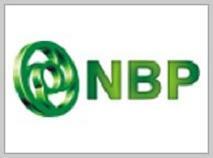 The NBP acts as a trustee of the government and Semi government financial institutions. It was also the trustee of the NIT. In 2001 NIT was merged in the National Bank and all the deposits and liabilities were transferred to him. Where the SBP branches are not available NBP performs the duty of SBP agent. The NBP takes keen interest in doing the investment. It has improved its managements. Its total investment in Federal and Provincial government securities increased up to Rs. 115 billion at the end of year 2000. The total investment in various instruments of debt were Rs. 2.6 billion. The NBP has played very important role in financing the domestic and international trade. It has provided finance more than Rs.47.76 billion to the traders. It is using the latest technology like E-Commerce and Electronic Banking in its branches. The use of technology has improved its quality of services. The NBP is playing very effective role in the development of Pakistan. It is playing proper attention to the human resources development. It is the main objective of the economic policy of the Govt. That it wants to rely on the internal resources instead of foreign aid. To meet the financial requirements Govt. Has collected the finance by selling the various industrial units and shares of commercial bank. So dependence on foreign aid has been curtailed due to privatization. After privatization the sense of ownership and confidence among the people has been developed. For example Allied banks shares are purchased mostly by the employees of the bank. Now they are the partners of the banks, so they have shown the positive attitude and profit amount of the ABL has risen to 2.68% with in one year. A private bank manager proves himself very careful while lending the amount because he knows that in case of any default will be held responsible. In case of loan recovery he uses his personal efforts and chances of fraud or loss reduces. After privatization of commercial banks customers will find better services of borrowing and lending from the banks, because private sector provides better incentives to their employees who perform their duties more honestly and efficiently. The profit seeking behaviour of private sector managers will increase the rate of profit for example Allied bank of Pakistan profit increases up to 268% with in one year after privatization. There will be also an increase in the investment rate after privatization. Example Allied bank of Pakistan in a one year after privatization has increased the industrial financing up to56%. Due to better policies of the private commercial banks the inflow of foreign capital will increase. Example there is 59% increase in the inflow of capital from other countries. There is 85% increase in the foreign currency deposits, with in one year after privatization. People have also shown more confidence on a private banks. Employees have also shown greater efficiency and have improved the currency deposits. Example after privatization of Allied bank there is 46% increase in the deposits in a one year. Number of accounts holder has increased to 13% with in one year. Aggregate lending will also increase due to privatization. Example with in one year after privatization if Allied bank lending increased upto 31%. Policy of privatization will promote the healthy competition among the various commercial banks. They will compete, in deposits, loans, interest and in services. So this healthy competition will improve their efficiency. While issuing the loans private banks will not accept the political pressure and loan will be issued on merit. The chance of loans right off will be also reduced. Quick and bold steps will be taken by the executives of the banks and such losses will not occur. No doubt there are various advantages of privatization of commercial banks but it must not lead to monopolies and concentration of wealth and no room should be left to suspect unfair deals. The Govt. of Pakistan nationalized all the banks, on 1st Jan. 1974. The weaker banks were merged with the strong banks. The banks were nationalized to provide the fair distribution of credit. All the classes of the public will enjoy the credit facility. There was a complete hold of few capitalists over the public savings. Now after nationalization their monopoly finished. Before the nationalization few big capitalists were missing the savings of the whole nation. They used this credit for smuggling and hoarding and they looted the public from both hands. Before nationalization this sector was ignored but now after nationalization proper importance is given to this sector. Now output of this section is increasing day by day. It was also stated that credit needs of the small businessmen can be me if the banks are in the public sector. Before nationalization, there was only profit motive for the bankers and service motive was ignored. It was also claimed that nationalization of banks will encourage and stimulate mobilization of savings in the country. It was also claimed that nationalization of banks will provide social justice in the country by proper allocation of credit to the different classes of the society. When the credit facilities will be provided to the underdeveloped areas the marginal rate of capital return can increase. But it was possible only if the banks were nationalized. It was also claimed that state bank can minimize the fluctuation in the economic activity with the help of nationalized commercial banks. So price stability can be provided by not issuing credit for the hoarding and smuggling. Nationalization to take loans for different development projects. In this way total out put of the country can increase. The banks were nationalized to stop the malpractices of the bank owners like heavy advances to the directors and their friends and misuse of foreign exchange. The banks were also nationalized on this ground that public will feel more security in depositing the money in nationalized banks. It was also claimed that the commercial banks compete with each other and spend a huge amount of money on advertisement, costly furniture and buildings. If these are nationalized then this loss can be sloped. It was argued that all the banks will adopt uniform policy about credit expansion after nationalization. While before nationalization it was no possible. If the commercial banks would be in the private sectors then Islamic Banking System introduction would be very difficult. Before nationalization all the profit of the bank industry was in few hands but after nationalization it is used for the best interest of whole nation. So Govt. nationalized them in 1974. It is a very big task for the banks. Savings of the people in urban and rural are mobilized by the commercial banks and these are used for investment. The banks and financial institutions advances loans for various development projects to public and private sector. By increasing the rate of investment it has increased the rate of economic growth in the country. Government of Pakistan is introducing the various types of monetary and fiscal measures to stable the economy, time to time. The commercial banks under the guidance of the SBP help to achieve the objectives of the monetary policy. The bank have also introduced the profit and loss sharing accounts. At the end of the financial year they announce the profit. The depositors receive profit instead of interest. The banks perform various types of services for the customers. They keep the valuable goods in their safe custody. They collect the utility bills of Gas and phone and electricity etc. They receive and pay the deposits. The commercial banks are providing finance to promote the exports. 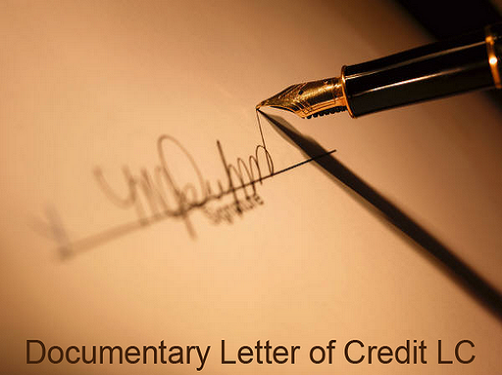 In this regard letters of credit are issued. For the guidance of exporters export promotion cell is established by the banks. It is the basic requirement for the economic development. The banks are very helpful in increasing the real assets of the nation. The banks are very helpful in financing the new development in the country. This scheme is introduced by the commercial banks to provide loan to the poor students. This facility is provided to Pakistani students in side and out side the country. The banks are providing finance for domestic and international trade. This facility has increased the volume of trade and encouraged the exports. Now banks are also providing loans for consumable items like car, house etc. The people are paying the debt in small investments and enjoying all the facilities. Now in the banking sector Government has allowed the private banks to play their role in mobilizing the savings and advancing the loans. Due to competition their services for the customers are improving. Now the banks will have to play their role according to the demand of the market. A bank may earn a high reward if he meets the demand of the customers and solves their problems. Now in Pakistan commercial banks have accepted this challenge and they are trying their best to meet the demand of the customers. 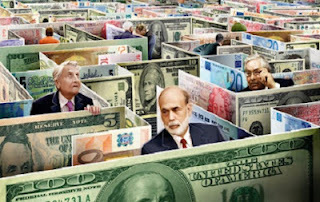 All the banking structure of any country revolves around it. It has the monopoly of note issue. It is a financial advisor of the Govt. It is a bankers bank. Monetary and credit system is also controlled by the central bank. It is very helpful in the utilization of the resources of the country for the productive purposes. These are profit seeking in situations. These accept the deposits and provide, short term, medium term and long term loans. These also perform the agency and utility services demanded by the people. These banks deal with the foreign exchange. These banks finance foreign trade. These banks are also performing a general banking functions with the foreign exchange business. In developing countries commercial banks have established the exchange department in their main branches. These banks provide loans medium term and long term credit only to the industrial sector. Commercial banks only provide loan for short term and only for the working capital. While industrial banks provide loan for the fixed capital. In the western countries there are a large number of industrial banks. The banks which provide loan to the agricultural sector are called agricultural banks. These banks provide credit facilities to the rural sector of the economy. The main functions of these banks are the merchandising of shares bonds and securities. In real sense saving banks are not banks. They only provide saving facilities and encourage the savers. Saving banks usually invest their funds in Govt. securities. Bankers play very important role in the economic life of the nation. The health of the economy is closely related to the soundness of its banking system. Although banks create no new wealth but their borrowing, lending and related activities facilitate the process of the production, distribution, exchange and consumption of wealth. In this way they become very effective partners in the process of economic development. Today modern banks are very useful for the utilization of the resources of the country. The banks are mobilizing the savings of the people investment purposes. The savings are encouraged and saving rate increases. If there would be no banks then a great portion of a capital of the country would remain idle. In the less developing countries rate of saving is very low and due to this rate of investment and rate of economic growth remains very low. A bank as a matter of fact is just like a heart in the economic structure and the capital provided by it is like blood in it. As long as blood is in circulation the organs will remain sound and healthy. If the blood is not supplied to any organ then the part would become useless. So if the finance is not provided to agricultural sector or industrial sector it will be destroyed. Loan facility provided by banks works as an incentive to the producer to increase the production.Manufacturers and merchants expand their business knowing that they can rely upon banks for financial help. Bank provide transfer of payment facility which is cheaper, quicker and safe. Many difficulties in the international payments have been over come and volume of transactions have been increased. 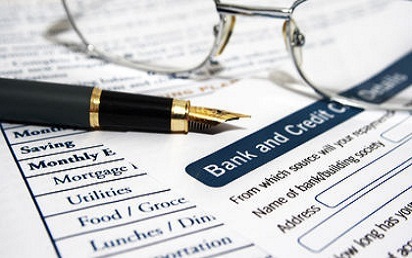 Cheques, drafts, bill of exchange and letter of credit are very important instruments of the banks. The banks collect these instruments drawn on banks in other cities or countries and proceeds according to the accounts of the customers concerned. This facility is very helpful for the development of trade and commerce. Moreover it saves a lot of labour time and money of the traders and other people. Banks also finance and expand international commercial transactions. In developing countries commercial banks are playing very effective role for the development of industrial and agriculture sector. The central bank is the controller of credit and it adopts two types of techniques, qualitative and quantitative. Buying and selling of Govt. bonds and securities by the central bank with a view to influence the money supply is called open market operation. When the central bank finds that inflation wind is blowing which is harmful for the economy, it will try to control the credit by selling the bonds and securities in the open market. These bonds and securities will be purchased by the commercial banks or by the public. The payment will be made by the public and by the commercial banks. Cash balances of the commercial banks will be reduced and they will reduce the rate of lending. The volume of credit will be contracted. So money supply will decrease and it will reduce the rate of inflation. In case of deflation central bank tries to increase the volume of credit. The central bank purchases the treasury bills and bonds. The money will move from central bank to commercial banks and to the public, i will increase the purchasing power or demand. The price level will rise and deflation will remove. The commercial banks will also lower the rate of interest will lend more money due to increase in cash balances. 1. It provides the initiative to the central bank to influence the economic activity for promoting the output and to stable the price level. 2. These instruments provide the elasticity in the economic activity. 3. The adverse fiscal policy effects can be removed. 4. This instrument is very useful for influencing the price and yield of securities. 5. 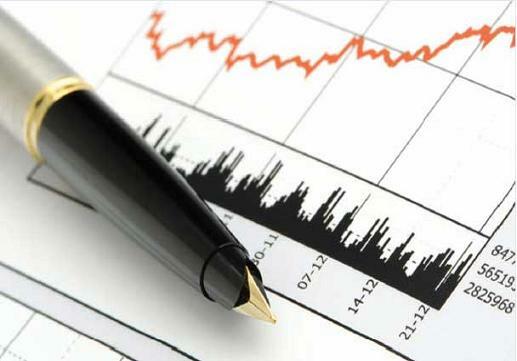 This operation is also very useful for influencing the price and yield of securities. Open market operation methods is only useful in few countries like U.K, USA and Canada. While in other countries it is not useful because money market is not well organized. If the commercial banks possess excess reserves then this policy is not useful. A large scale deficit financing may offset the loss of cash reserves by expanding the deposits of banks. It has been assumed that an increase in cash reserves of banks will lead to credit expansion and decrease in them to credit contraction, but it is not necessary that it should happen. In some developing countries this policy is hardly used for credit control. Bank rate is the rate of interest which is charged by the central bank in providing the re-discount facility to other banks. The first class bills of exchange and Govt. securities are used for the re-discount. Keep in mind bank rate is different than the market rate. If money market is well organized and economic structure is elastic a rise in discount rate followed by the rise in market rate. Discount rate is kept slightly above the market rate. When the central bank increase its discount rate. Commercial banks also increase the rate of interest. Margin of profit falls and it discourages the businessman to borrow the money. So the rate of investment, employment and output falls which leads to depression. When the bank rate is lower the commercial banks also, decrease the rate of interest, on credit. As the rate of interest falls, margin of profit will increase. It will encourage the investors to borrow and increase the rate of investment. So the volume of credit will expand. So there will be a favourable, effect on the economy. The change in the discount rate affect the future market rates, such as the rates charged by the discount houses. If the marginal efficiency of capital is higher than the rate of interest then the volume of credit will expand. As the rate of interest increases the producer can increase the price instead curtailing the investment or borrowing. In case of deficit financing policy may not be applicable. Sometimes the rise in bank rate may increase the rate of profit interest on deposits. In this way lending power of banks will rise. The amount of money which the banks are legally required to keep with central bank is called “Cash Reserve Ratio” when the ratio increases, the rate of credit contracts. When this rain falls the rate of credit expands. 2. Balances with central bank approved securities. The central bank fixes the upper limit for the credit extension for the commercial banks. There are many weapons which are used to regulate the total supply of money and credit. The central bank can ask the commercial banks in friendly manner to follow the credit policy framed by the central bank. This method can be effective in the short period only. In this connections appeals and warnings can be issued to the commercial banks. If the commercial banks are not ready to follow the instructions of the central bank then central bank can take direct action. It can refuse to re-discount the bills of exchange, or can impose penalty. This method is used in financial crises. The credit is rationed by fixing the amount which each bank can receive by re-discounting bills of exchange. The minimum margin requirements on securities may be relaxed to encourage the borrowing and can be imposed to discourage the borrowing. The grant of credit for consumption goods or non-essential items may be banned. The central bank may convince the borrowers and the lenders through publications to adopt a specific credit policy keeping in view the nation interest. "To regulate the monetary and credit system of Pakistan to faster the growth in the best national interest with a view to securing stability and full utilization of the country's productive resources. The original share capital of the bank is three crore rupees. Its 51% of the total share capital was contributed by the government and remaining 49% by the private sector. It is not guided by profit motive in its operations. Its major objective is stability of the economy. One board of directors supervises its affairs Governor is the Chief Executive of the bank, who controls the affairs of the bank on behalf of the central board. It has 14 departments. The state bank of Pakistan is the only bank which has the right to issue the note above then one rupee in Pakistan. Proportional reserve system was adopted up to Dec. 1965. Now minimum reserve system of note issue is prevailing. The amount of notes in circulation can be increased according the demand of the public, but it keeps in view the price level in the country. 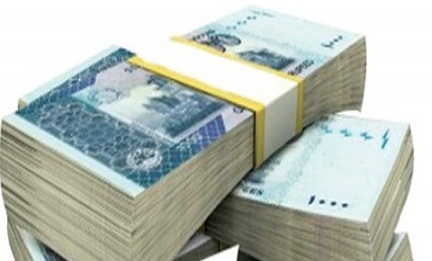 All the commercial banks in Pakistan having paid up capital 5 or more then 5 million rupees maintain their cash reserve with the state bank of Pakistan. They keep at least 3.5% balance of the total demand. The state bank acts as a custodian of these cash reserves. The state bank settles these debts with the daily clearing cheques. The state bank takes various measures to control the commercial banks. Federal and Provincial Governments cash balance are deposited with the state ban. It controls foreign exchange reserves on behalf of the government. It also floats new loans to the provincial government on behalf of the government. So the state bank of Pakistan acts as a banker to the government. 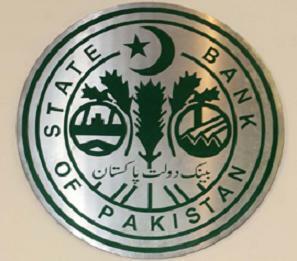 The state bank of Pakistan is also responsible to maintain the stability in the exchange rate. Our currency value fluctuates in the market because Pakistani rupee is linked with the basket of currencies of trading countries. So the state bank of Pakistan maintains the official exchange rate. The SBP is the financial adviser to the government of Pakistan. The state bank provides advice to the government about the balance of payment condition its impact on the economy. It also provides advice to the commercial banks and financial institutions keeping in view the national interest. A clearing house is a place where the representative of all the commercial banks sit together daily to settle their cheques drawn upon each other. The state bank acts as a clearing house for the. SBP helps them in making payments by minimum transactions. The state bank has the power to control the credit by using the credit instruments. In case of inflation it contracts the credit while in case of deflation it expands the volume of credit. It uses the policy of open market operation, bank rate policy and cash reserve percentage according the economic condition of the country. In 2001 the SBP reduced the interest rate from 16% to 13.7%. To encourage the investment in the country this policy has been adopted. If any time commercial banks are short of cash reserve the SBP saves them from this problem. The bank is the lender of the last resort. The SBP provides cash to the commercial banks by re-discounting their bills. It saves the commercial banks from solvency. The bank is playing very important role in increasing the growth and economic stability in the country. It has promoted various investment activities in the country. SBP has played very effective role in improving the capital market. Due to his efforts rate of investment has increased. Foreign investments has also shown the positive indication in the capital market. It is the duty of the SBP to promote the growth of banking system on sound footing. The SBP controls the commercial banks to follow the government policies. The SBP is also extending the finance to the various specialized financial institutions like ADBP, PICIC, ICP, HBFC and IDBP, NDFC had been merged in National Bank of Pakistan in 2001 and SBP has provided assistance to NBP. The commercial banks are providing finance to the exporters at the concessional rates under the export finance scheme provided by the state bank of Pakistan. The SBP also formulates the various policies to increase the exports. It is also the duty of the SBP to provide stability in the price level in side the country. To achieve this objective SBP adopts various types of credit measures to remove the inflationary and deflationary pressure. To promote the development activities and to encourage the investment and savings SBP fixes the suitable interest rate for the savers and investors. 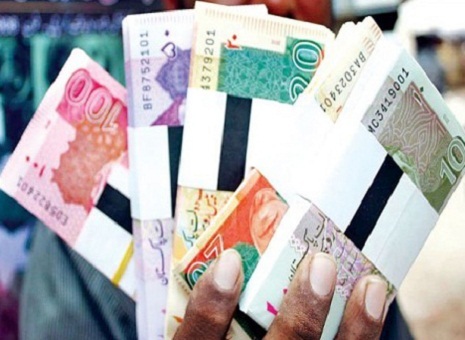 The SBP fixes the rupee exchange rate with the other basket of currencies. All the foreign exchange transactions are made at official exchange rate. It controls the visible and invisible payments coming and going out of the country. Keeping in view the priority of various sectors like industry, agriculture and transport, SBP gives targets to commercial banks. These targets for various errors has promoted the growth of various sectors. The SBP has stated various types of banking diplomas to improve the skill in the employees of banks. The SBP has also introduced the training schemes to improve the quality of the worker. The SBP issues the statistics about working and efficiency of the banking sector. After every three months it issues report about the economic condition of the country. At the end of the financial year it publishes the "Economic Survey" which throws light in all the sectors of the economy. In the past government of Pakistan has misused the financial institutions. There is a need that SBP should work independently and maximum autonomy should be given to check the political and financial abuses. Now SBP has greater authority to regulate the money supply and government borrowing from the SBP. A recoverable L.C can be cancelled or modified without the consent of all the parties. It can not be cancelled or modified without the the consent of all the concerned parties. The confirmed letter has the protection of the credit standing of the importers as well as the exporters bank. The exporters bank gives undertaking to honour the drafts. The intermediately bank forward the L.C to the beneficiary but does not takes any liability. It is issued for a fixed amount, it is exhausted when the total amount is received. The amount of this L.C is automatically renewed or revived when the draft is drawn under it is paid. The drafts drawn under this L.C is accompanied by different documents, relating to the merchandise. This L.C is restricted in its operations to a particular intermediately bank written in L.C. This bank acts as advising as well as negotiating bank. The L.C under which the drawer of the draft is not liable to holder if the draft is not honoured. The L.C authorizes the intermediary to grant an advance to the seller before shipment. The advance may be for packing and handling. This is an improvement over the red clause L.C. In addition it also allows the storage in the name of the opening bank. Under this L.C the beneficiary has the right to give instructions to the intermediary bank to make the L.C available in the whole or in part to second beneficiary. This L.C achieves much the same purpose as a transferable L.C. In this L.C beneficiary is not actual supplier. He produces his own L.C to his bank. Under this L.C the beneficiary is allowed to get the documents negotiated through any bank. But negotiating bank may differ from the advising bank. A letter of credit has an important place in financing the international trade. It is the safest method of payment. Following are the important advantages for the importer and exporter and for the banks. The export letter of credit provides legal right of getting payment of the goods exported in foreign country. 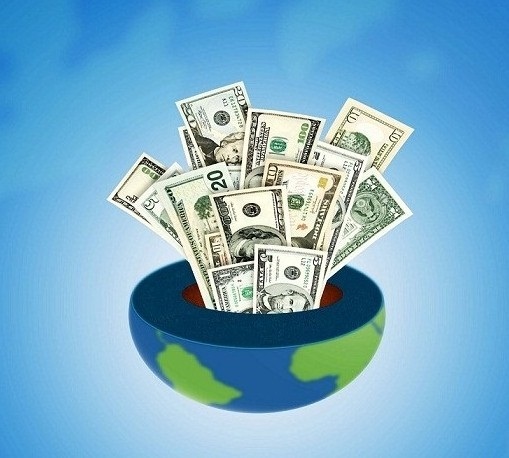 The letter of credit greatly facilities overseas business and makes the payment of goods easy. The letter of credit has created confidence in the importer and exporter to rely upon each other. Showing the shipping documents to the advising bank exporter can get necessary amount. He has not to wait till the money is received from the importer. Some times exporter can get finance for packing, and even for storing before the shipment. After receiving the payment, the exporter trans actions come to an end. So he becomes free. An irrevocable confirmed letter of credit provides maximum security to exporter for the payment. The letter of credit enables the importer to satisfy the exporters that he will make the payment after the receipt of goods. The importer has not to pay the price until he receives the documents. So a sufficient time gap can avail the importer. Bank charges a reasonable amount for the issuing and confirming the letter of credit. In some countries, until the payment of the due amount, the title and ownership of the goods remains with the banks. Mr. Frank Henious has defined it in the following words, "The letter of credit is a written instrument issued by the buyers bank authorizing the seller to draw in accordance with certain terms and conditions." According To Pritichard, "The letter of credit is commitment on the part of the buyers bank to pay or accept drafts drawn upon it provided such drafts do not exceed a specified amount." According to the above definitions there are four parties, involved in this letter. The person who purchases the goods from other country. 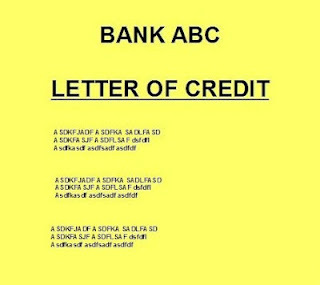 He requests for the letter of credit to the bank. He may be called buyer. He is the person in whose favour the letter of credit is opened. He is called seller or exporter. 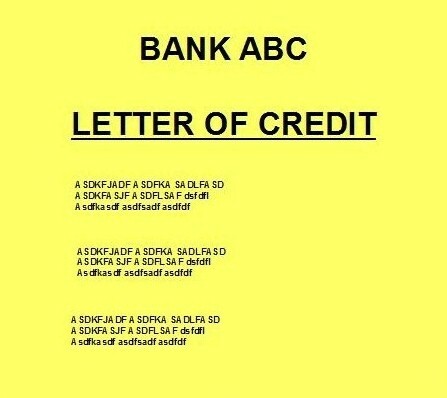 It is the bank which issues the letter of credit. It is also called the issuing bank. The bank which makes the payment to the exporter after receiving the letter of credit is called paying bank. International trade is financed through the letter of credit, which is quiet simple. If exporter of any country agrees to sell any particular commodity to the importer of the other country. They will do an agreement. Now they will prepare the contract documents. Importer will get performa and will provide all the particulars of contract in the performa. The importer will contact with the bank and will provide all the documents regarding the agreement and will request for the letter of credit. The bank will provide an application form if it finds that documents are correct. The importer will submit application form with necessary details disclosed between the importer and exporter like shipment insurance and total value of goods. The applicant will request to open an L.C in favor of exporters. The opening bank obtains an undertaking from the applicant that he will purchase the documents from the bank at the "Markup" price fixed by the State Bank. If the goods are imported according to the margin requirements, then importer will be asked to deposit the same amount. The margin requirements generally very from 10 to 25% of the total amount for which the L.C is opened. It is refundable amount. The bank writes the L.C after the completion of formalities. It is in a printed for form. The bank prepares its four copies and these are distributed among the four parties. Example : Suppose Indian importer got the L.C in favor of U.S.A exporter in New York, authorizing him to draw sight draft. The bank will transit the L.C to exporter through bank in New York. Exporter will send the goods by ship and will get the receipt from the shipping and insurance company. He will complete all the documents mentioned in L.C. The exporter will submit his bill and other documents to the bank in New York. 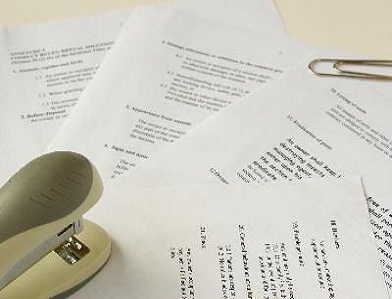 The paying bank will examine all the documents according the terms and conditions mentioned in the letter of credit. and will forward all the documents to the opening bank In India. NOTE :- In some countries interest free banking system is working. So the negotiation of the documents by the negotiating bank means the sale of the same by the importer to the issuing bank for the amount of the draft plus all the charges of banks. Moreover, it means that the importer has simultaneously bought back from the bank the said documents at the aforesaid sale price plus markup on the net amount less then amount of margin. It is a contract between insurance company and certain person in which the insurance company promises to pay a stated sum of money either on his death or on his particular age. But the premium must be paid for the duration of the contract. 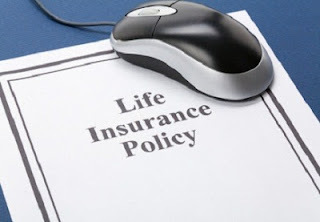 There are two methods of advancing loan against the Life policy. 1. Legal :- The banker can secure the loan by a deed assigning to the borrower by mortgage. 2. Equitable :- The creditor may require to deposit the life policy with reasons of deposit. The policy can be assigned when bank requires. 1. It is a simple method of security loans. 2. The payment is safe even at the death of a person. 3. The surrender value of the security increases with the passage of time. 4. If the debtor refuses to pay than insurance can easily recover the loan from the company. 5. It can be realized immediately from the company. 6. It is less expensive. 7. There is no need of supervision of these securities. 1. If premium is not paid then it is invalid. 2. In case of suicide this policy is invalid. 1. The life policy should be properly stamped. 2. The financial position of the company issuing policy should be examined. 3. The banker must check the age of the policy holder. 4. Premium is paid up to date or not. 5. The reliability of the insurer must be examined. 6. The banker should not advance the loan if notice of assignment has been served to insurer. 7. The banker should take undertaking from the borrower that he will pay the premium regularly in time. 8. In case of equitable mortgage the banker should take legal assignment by deed. 9. The banker should not advance the loan if conditions in the policy are not acceptable. 10. In case of joint policy the bank should get written permission from all parties. Those securities, which are transferable by delivery or negotiable by endorsement are called negotiable instrument. The new owner has a clear title to the securities, provided he takes them in good faith or for value. Negotiable instruments like note, cheque or bill of exchange when transferred to its transferee. The transferee is free from the equities. The bank can safely advance the loans against fully negotiable securities. Certain instruments like cheque, bill of exchange or promissory note are those instruments which are given negotiability by statute law. It is an important kind of negotiability. Treasury bills, Bearer Bonds, script to bearer, share warrants payable to bearer are negotiable by mercantile customs and recognized by the law. In certain cases instruments become transferable by the law of stopped warding to the principle is stopped from denying its negotiability against a transferee. Who has taken it in good faith and for value. In this case the banker gets an equitable title only which too is fraught with many risks. There are two kind of nonnegotiable securities, registered share and inscribe stocks. Those shares which are issued by the joint stock companies under their seals are called registered shares. The stocks which are recorded in the books kept with the Government or with the bank or agent are called inscribed stocks. The holder of these stocks are issued receipt of acknowledgement. These receipts can be used as evidence. Before advancing the such loans against such stocks must transfer to his own name. When fully paid shares are formally transferred to the name of bank or his nominee is called legal mortgage. Generally, borrower hesitates to offer the shares against the loan because he has to bear the expenses and to face the many problems. 1. The stock exchange may have a lien over the shares. 2. These can be defeated by prior equitable title. 3. The bank remains ignorant about the fluctuations. 4. If the shares are not registered in time. All the securities like shares, bonds, debentures issued by Government on public, private or joint stock companies can serve as a security for loan. 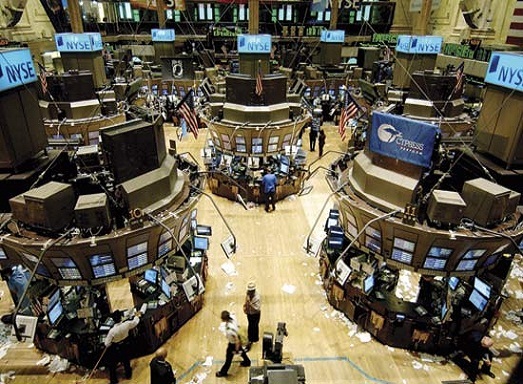 Any how those securities which are quoted on the stock exchange are called stock exchange securities. 1. These are easily sale-able. 2. Their value can be assessed very easily. 3. Repayment of loan is easy by their sale. 5. The transfer of these securities is very easy. 6. Expenditure on the release of securities is less as compared to the other securities. 7. Interest on securities reduces the burden of loan. 8. These can be easily pledged with the other banks. 9. These are more reliable. 1. Due to market fluctuation of the securities the bank may not be able to recover total debt. 2. In case of forged signatures of a customer a bank will suffer a loss. 3. If the shares are partially paid up and the bank is registered as their owner, the bank may be asked to pay the uncalled amount of shares. 4. If the loan is advanced on the forged share scripts then its repayment will be difficult. 5. The repayment problem can arise if the securities are not negotiable. 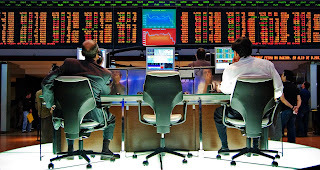 The banker should select the securities after thorough scrutiny of the companies, reputation balance sheet, dividends paid on shares and marketability of the shares of the company. While advancing loan against securities a banker must keep sufficient margin for market fluctuations of the shares prices. The securities which are offered as security, the banker should check the ownership right of the customer. Customer may not be the trustee for another person. In case of non negotiable shares the banker must check the record of the company that borrower is registered holder of the shares or not. In case of equitable mortgage of shares banker should obtain legal assignment of these shares till the process is completed. In case of legal mortgage shares there should be registered with the bank and should be declared, as the owner of the shares. In the case of partially paid up shares and stock banker must be very careful. If the bank has taken a legal mortgage and is registered as a holder of shares the bank shall have to meet the liability of the unpaid amount. The guarantee or surety can be terminated in various ways. In the following circumstances it can be terminated. The guarantor will not remain in force when the bank receives the notice of his death. The legal representative is responsible before the death of the guarantor. The guarantor can cancel the continuing guarantee by notice to the creditor as to future transaction. The guarantee is terminated automatically after the death of the principal debtor. In such case creditor can recover the amount due by the debtor from his estate. In case of default by the legal heir of the debtor, the creditor can demand from the guarantor. When the creditor comes to know about the in sanity of the surety, the guarantee terminates. In case of bankruptcy the banker stops the accounts operation and guarantee comes to an end. In such case demand is made upon the surety for the payment of the guaranteed debt. The guarantee obtained by fraud and misrepresentation is invalid. If the debt is paid by the debtor on due date, the guarantee is discharged. When the creditor changes the terms and conditions of the agreement with the debtor, then surety is discharged. If the creditor neglects something which he is bound to do for the protection of the surety. In this case surety will be discharged. If the constitution of the firm changes, it may terminate the guarantee. By any agreement between the creditor and debtor or any act if the principal debtor is discharged then surety will be automatically discharged. If the debtor grants extension of time to the debtor without the consent of the surety then guarantee is revoked. If two or more banks amalgamate the guarantee will cease for all future transactions unless there is an agreement. "Contract to perform the promise or discharge the liability of a third person in case of his default". Guarantee as security for bankers advances arises only when borrower is not able to satisfy the banker of his credit worthiness. The person who gives the guarantee is called guarantor, the person who borrows the money is called principal debtor and who accepts the guarantee is called creditor. There are two types of guarantees, one is specific and other is continuing. If the guarantee is for specific loan then it will be called specific guarantee. If guarantee is for whole transaction and payments carried out by the debtor then it will be called creditor. There are three parties involved in a guarantee, creditor, debtor and guarantor. Basic liability of payment of debt falls on the debtor. If he fails to pay then responsibility falls on the guarantor. Creditor and debtor has interest in the contract but guarantor has no interest in the contract. Any person or firm who is eligible to do the contract can become a guarantor. But in the following cases banker must be careful in accepting the guarantee. 1. Minors and unsound minded person can not become a guarantor. 2. A married women is not considered a free agent. She can only contract against her separate property. 3. Normally registered companies can borrow the loan but have no power to become a guarantor if the firm is authorized then it is possible. 4. In case of partnership a single partner can not become the guarantor. If such powers are given by all the partners to any one then it is possible, otherwise partners should sign on the deed. 1. 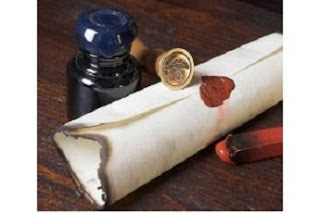 Contract of guarantee requires written evidence while in contract of indemnity there is no need of written evidence. 2. In case of indemnity there is one contract of liability while in case of guarantee there are two contracts. 1. 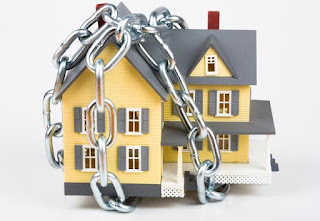 It is very easier security as compared to mortgage of property. 2. It gives maximum protection to the lender. 3. The sign can be easily obtain from the guarantor on the form by the bank and there is no need of preparing deed. 4. The banker may call guarantor and tell him about the default of debtor. 5. By a simple court action a guarantee can be enforced. 6. In case of default a banker and guarantor both pressurize the borrower to repay the debt. 1. If the guarantors property is destroyed or sold during the period of contract and borrower also fails to pay the debt. In this case it is very difficult to recover the amount from both the parties. 2. Sometimes if the bank changes the constitution then guarantee is terminated. 3. Sometimes the loan is not returned and bank claims in the court against the guarantor but it is rejected on technical ground. 4. In case of amalgamation with other banks the guarantee is terminated. Keeping in view the above facts we may say that its importance can not be ignored. If borrower fails to return the loan in time then the mortgagee has the right to sell the property of the mortgagor. But it will be sold and getting decree from the court. Property will be sold by auction. After selling the property if amount is less then the loan, the balance can be recovered from the person by getting the decree from the court. In this case mortgagee has no right to sell the property and to obtain the decree from the court. The banker can retain the possession till the recovery of the loan. If a borrower refuses to return the loan or he is unable to pay the debt then the lender can get a foreclosure decree from the court. The banker has a right to distribute the payment received after the sale of property according the principal amount, interest and other charges. In case of private property the mortgagee will issue at least 3 months notice to the mortgagor before selling the property. 1. Property may not be damaged. 2. No alteration is allowed in property. 3. The property must be insured. 4. Property must be kept secured. 5. Rent of the property must be collected. 6. Govt. Revenue must be paid. 7. Property must be kept clear from all dues. As the loan is returned then a mortgagor has a right to redeem the property. All documents and the mortgage deed should be returned to the borrower. If the property is damaged during the possession of the mortgagee then the mortgagor has a right to claim the damages from the mortgagee. If mortgagee wants to acquire a share in the mortgaged property through inheritance or purchase the mortgagor has the right of partial redemption. If the possession of the property is in the hands of mortgagor then he can make lease of this property for the ordinary period. The mortgagor will observe all the conditions contained in the agreement deed. He will also defend the title of property if the property is in his possession. When the mortgagor returns the loan then he has a right to recover the possession of the property from the mortgagee. If property is in the possession of the mortgagor then the liability of all types of taxes will be on the mortgagor over of Modarba certificates is not impressive. Now the ratio of equity is very high in relation to debt financing. There are many checks on the Modarba companies to regulate the modarba. The state bank, religious board, corporate law authority and registrar of modarba are responsible to regulate the modarba company. It is very necessary that modarba company should appoint the auditor. Auditor should be qualified charted accountant approved by the registrar. The auditor should certify the objectives and accounts of the modarba. Auditor verified balance sheet and profit and loss report about the company must be given to the modarba certificate holders with in six month of the closing accounts period. It means the transfer of interest of specific immoveable property for securing the payment of loan is called mortgage. It is a legal assurance. Which is given to the lender. After the repayment of debt the property will return to the borrower. 1. It is a written contract between borrower (mortgagor) and lender (mortgagee). 2. It is a transfer of an interest in a specific mortgage property. 3. Its main purpose is to secure debt. 4. Its documents must be registered. 5. A minor borrower can not do this contract. 6. The mortgage contract is signed by the mortgager and attested by the witness. 7. The possession of the property remains with the borrower. In this case the borrower keeps the possession of the property in his hand. He is personally responsible for the payment of debt. If he fails to repay the debt then lender has the right to obtain the decree for the sale of property. It is called simple mortgage. In this mortgage the borrower (mortgagor) actually delivers the possession of the property to the lender (mortgagee). He can use it or rent out but after repayment of loan, the possession is transferred back to the mortgagor. In this case, ownership and possession both are transferred to the mortgagee on the condition that loan will be repaid on a certain fixed date. After the repayment of loan it is returned. The mortgagor (borrower) deposits the title deed of property as a security to the lender. From the banker point of view it is not popular. In this mortgage rights and liabilities of both the parties are strictly determined according the contract of mortgage deed. The borrowed sells the property on this condition that if he fails to repay the loan then lender (mortgagee) will obtain the absolute proprietorship of the property. On other side if he returns the loan then property will be restored. The loan of immoveable property lack liquidity. In case of default it is very difficult for the bank to sell the property to recover the loan. Following are the important causes of unpopularity of mortgage. 1. It is very difficult to assess the value of immoveable property like land. 2. The value of property fluctuates. 3. In some cases there is a legal problem involved in the transfer of land. 4. The borrower has to bear heavy expenses to complete the documents of mortgage. 5. The advance on land reduces the liquidity power of the bank. 6. If the customer does not return the loan the bank has to go to the court and has to face many problems. 7. Some times a land is in possession of tender and it can be rented. In this case it is very difficult to find suitable tenant. 8. It is also very difficult to maintain the property in good condition. 9. In case of mortgage there are large number of legal formalities which are being completed. It is also a difficult process. Keeping in view the above problems a banker hesitates to advance the loan against the security of immoveable property. 2. 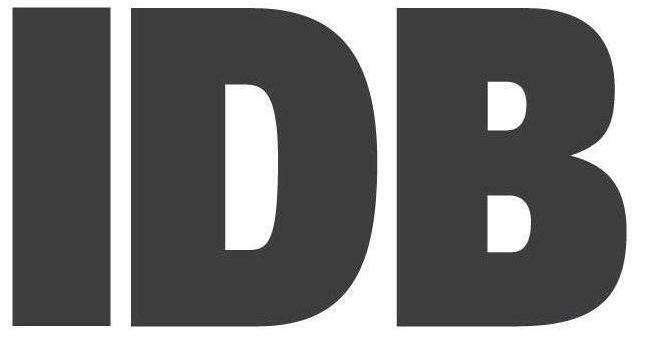 Title of deeds life policies. The banks also extend credit on the personal securities. Following are the main forms of security. Mortgage is a legal assurance given to the creditor. The interest of the property gives to the creditor for meeting an obligation. After the repayment of the debt the property will return to his borrower. 1. If the debtor fails to repay the debt, the creditor can sell the property. 2. The possession of the property remains with the borrowers. 3. It is only the transfer of an interest in a specific mortgage property. The securities which are generally mortgaged as a cover for an advance are title deeds, life policies stock and shares. A pledge is an actual delivery of the moveable property to the lender as a security for a loan. The ownership however, remains with the borrowers. The difference is that in case of mortgage, the possession of property remains in the hand of borrower. In case of pledge the lender is entitled to the exclusive possession of the property till the debt is repaid. A lien is a right to retain property till the debt is repaid, it is a legal claim on the securities which come into the bankers hands in the ordinary course of his business. 1. 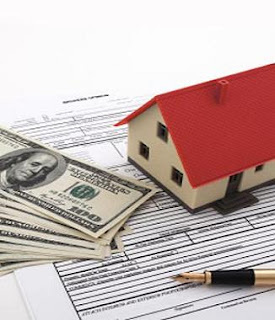 The difference between, lien, mortgage and pledge is the lien arises by implication of law from certain situations. 2. While the mortgage and pledge arises from a special agreements between a borrower. It can be defined in the following words, " Legal transaction whereby goods may be mode available as a security for a debt but property will remain in the possession of the borrower." In this case loan is given to the borrower against goods without taking their passions. i. A borrower may take some goods without informing the bank, because all the goods are in his hand. ii. The bank does not have a legal claim because goods are not in his possession. iii. Advances against such goods are not safe. 1. Goods are in the custody of the borrower so he can sell them. 2. According the agreement he has a right to keep the ownership of goods. 1. It can check the stock in the godown of the hypothecated goods. 2. The bank has a right to obtain stop order if contract is being violated. 3. If banker feels that the value of available goods in the stock is less than the amount of loan it may ask to maintain the balance. 4. It may demand periodic report of the stock. 5. The banker has also the right of insurance of goods. The charges will be payed by the borrower. When we talk about advancing of funds by commercial banks, it mean the profitable and safe use of funds. i. It earns the profit for the customers. ii. 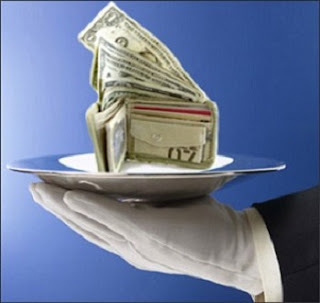 To meet the demand of the customers it should keep sufficient cash. So profitability and liquidity are two main objectives. It is the major objective in the banking business. Bank can earn maximum profit by investing its deposits in securities yielding height returns while advancing the loans this factor is considered by the banker. If assets in a short time with minimum cost is called liquidity. It is the basic principle for investing the funds before the banker. If the investment is not liquid then bank will fail to meet the demand of its depositors. So every bank tries to invest the funds in to ready convertible securities. It is the most important principle for investing funds. The bank keeps in view the borrower ability to repay the debt before lending the money. Character goodwill and business integrity of the borrower must be checked. A banker should advance the loan for productive purpose. It will be very secure and definite source of repayment. Unproductive loans must be discouraged. It is observed that short term productive loans are very ideal. While advancing the loan a banker secures loan by getting reasonable security from the borrower. It is called insurance against the risk of non repayment. The security offered against loan must be adequate and it can be disposed off without a loss and delay. A bank must keep the ready cash to meet the demand of the depositors. Any particular limit can be fixed keeping in view the daily experience. In case of lending there is a risk of loss every time, so it is better that loan may not be given to any single particular area. It may be given to large number of borrowers over a large number of areas. It minimizes the risk. The bank must keep in view the policy of the state. If Govt. asks to provide loan to the agriculturist and small business, it should not be ignored it. Long term financing have been started by the commercial banks to the industrial and agricultural sector. These advances are repayable at a fixed future time in lump sum or in installments. i. The financial position of the borrower. ii. The purpose of borrowing. iii. The period of loan applied for. iv. The assets liabilities of the applicant. v. Earning capital of the borrower. 1. This loan is issued in the name of borrower. 2. A separate account is opened for this loan. 3. This loan is sanctioned for a fixed period. 4. This loan is taken by the borrower in full and partially. 5. Borrower pays the interest from the date of the loan is transferred in the account. 6. There are two types of this loan, one is called clean loan and other is called secured loan. 7.This loan is advanced at the agreed rate of interest. Banks purchase and discount the bills and earn the profit. It is a short term method of investment. The banks discount the bills on rebate, which is called its profit. The bill of exchange is usually matured with in 99 days. 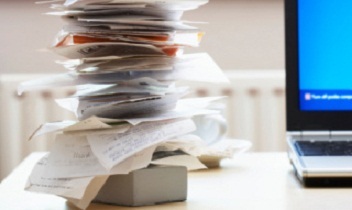 The bank pays the money to the owner of a bill and collects the amount from the maker at the due date. 1. It is a safe investment of the bank because it is a negotiable instruments. 2. If the bill is dishonoured the payee responsible to return the payment to the bank. 3. The bank earns higher profit on the bill, because discount is higher than the interest rate. 4. By discounting the bill bank gets new customers. 5. Some times the amount credited to the payee also remains with the bank. 6. The bank can re-discount the bills from the central banks to meet its requirements. 7. The date of the bill is usually confirmed so it is considered a liquid advance. The bank purchases the bills on commission. Some bills are clean while either are documentary bills. These are demand bills and purchased from the approved customers of the bank. When bank purchases the bill it deducts its commission and pays the amount. This commission may be called profit. By purchasing the bill bank can not became the owner of the bill. It is held by the bank temporarily. When bank is in need of money it can be cashed.